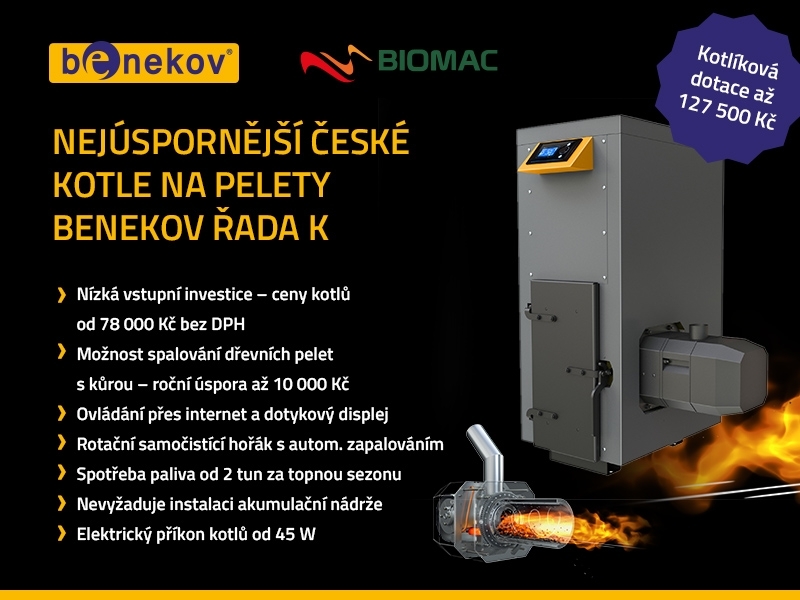 The BENEKOV C 27 boiler is the first Czech automatic boiler for coal in the 5th category, fulfilling Ekodesign parameters. It is suitable for heating premises where the demand for heat performance does not exceed 25 kW. 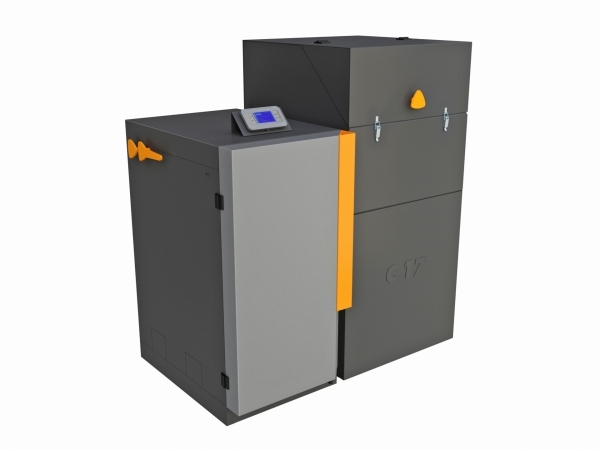 It is possible to use the automatic boiler with the BENEKOV C 17 container for heating homes, administrative buildings and other premises, where the demand for heat performance does not exceed 19 kW. 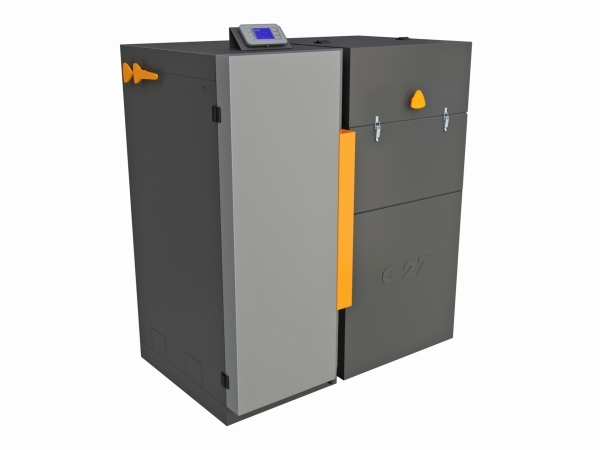 Many varieties of automatic boilers for coal are offered, from the smallest, which are suitable for heating apartments, with a performance demand of 14 kW, up to the largest, which can manage to heat larger premises, with a heat performance up to 99 kW. If cascades are installed, we recommend a maximum combination of 4 boilers, given that a performance of approx. 400 kW can be achieved. Automatic boilers for coal differ in many parameters. The operational effectiveness for combustion, which in some models achieves up to 98%, will also be of interest to you. The 3-thrust construction of the exchanger guarantees high effectiveness. The coal container is a perfect helper for everyone who likes to save time when caring for their heating. The automatic boilers with a coal container, which you can find in our range require minimum daily care. For some models, 10 minutes of your time per day is sufficient. Service-free operations usually range from 1 to 7 days. The exact time is influenced by the season, the required temperature on the premises as well as the quality of the fuel used. It is usually necessary to take the ashes out once per 1 to 4 days. However, in our range you will also find boilers for coal which can manage service-free operations from 5 to 10 days. It is sufficient to clean the heating unit once every 4 to 6 weeks. If manual cleaning of the heating unit and ash removal is not for you, it is possible to purchase a wide range of accessories for various boilers, for example, a de-asher, automatic cleaning of the exchanger, a back-up power source, a chimney valve, a lambda probe, etc. Some of the accessories already come as standard with the boiler. A safety thermostat, which serves to protect the heating system against over-heating, ensures the safe operation of the automatic boilers for coal. The safety guard protects the motor of the screw conveyor against overloading. You don't even have to worry about the possibility of fuel burning into the container during extended periods of power outage. It is secured by a safety fuse. 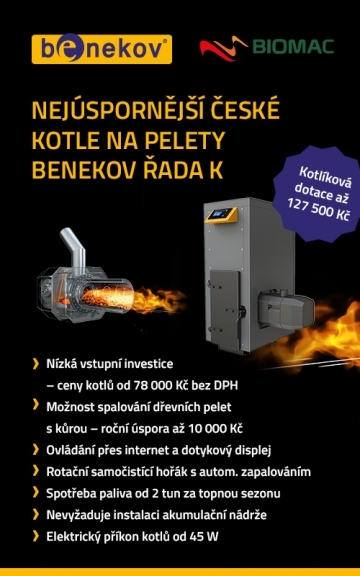 If the boiler is installed by a trained assembly company according to the Technical documentation for installing Benekov boilers, and the hydraulic components, as defined by the manufacturer, are used, and the boiler is set up for operations by a trained service company or service center, the boiler has an extended 5 year warranty.